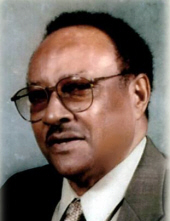 Deacon George Wesley Green, was born in Columbia County, GA on Thursday, May 25, 1933 to Albert, Sr. (Susie Tate) Green. He made his earthly transition to his heavenly home on Wednesday, January 23, 2019 at the Doctors Hospital in Augusta, GA.
At an early age, he joined the Walnut Grove Baptist Church in Appling, GA. Deacon Green enlisted in the United States Army on Wednesday, June 10, 1953, and served as well as fought in the Korean War. He received the following medals: National Defense Service Medal, United Nations Service Medal and the Korean Service Medal. After serving proudly in the United States Army, some time passed, and he was united in marriage to Mary Ella Willingham on Sunday, March 9, 1958. From this union, they both embraced the birth of six children. While married, Deacon Green was gainfully employed with the Civilian Personnel Office on the Fort Gordon, GA Military Base as a Sheet Metal Engineer for over thirty dedicated years until he retired. He was preceded in death by his wife, a son, a granddaughter, his parents, three sisters, and two brothers. Those left to cherish his memories: eight children, Deloris Green of Martinez, GA, Helena Green of Grovetown, GA, Lorene Perry of Martinez, GA, Dennis (Joyce) Green of Augusta, GA, Sherry L. (Edward) Lawton of Orangeburg, SC, Curtis E. Green of Augusta, GA, Evelyn (Charlie) Green of Augusta, GA and Linda S. Benning of Appling, GA; twelve grandchildren; six great-grandchildren; two sisters, Catherine Green and Carol Green, both of Appling, GA; two brothers, Hezekiah Green and Dea. Cornelius (Janie M.) Green, all of Appling, GA; four sisters-in-law, Cora J. Willingham, Lillian (John) Parks, all of Lincolnton, GA, Annie J. Willingham of Washington, GA and Frances M. Evans of Augusta, GA; three brothers-in-law, Granville Willingham, Earl Elam, both of Lincolnton, GA and Rufus (Roberta) England of Evans, GA; a host of nieces, nephews, other relatives and sorrowing friends. To send flowers or a remembrance gift to the family of George Wesley Green, please visit our Tribute Store. "Email Address" would like to share the life celebration of George Wesley Green. Click on the "link" to go to share a favorite memory or leave a condolence message for the family.